At this point of time, the word “change” has become the most common word in the SEO community as every year, SEO is changing like never before. As we know that 2012 saw 37 changes in the SEO market and 2013 saw around 15 algorithm updates, we all have to conclude that times have changed in the SEO industry. While some of the changes don’t play out, some others have had a staggering impact on link building strategies and content creation. While some changes are overstated, some others find agencies burying their heads in the sand. 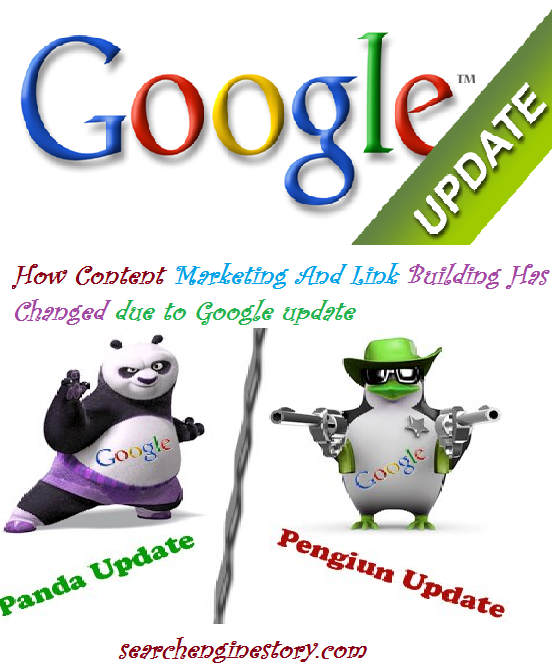 If you look back at 2013, here is a retrospective glance over the ways in which content creation and link building has been changed since the Panda, Penguin and the Hummingbird update. Is there something that is truly “Dead”? It is literally a matter of 5 minutes that Matt Cutts will announce something on behalf of Google and there will be a post on the web that says that a particular SEO strategy within the nation is DEAD! Well, with the Panda, Penguin and Hummingbird updates, there are many tactics that have been considered as DEAD, but what are they? What are those short-lived SEO strategies that are no more being recommended by Matt Cutts? Article Spinning: Yes, this is something that is entirely DEAD! For all those who are too young within the SEO industry, you should know that article spinning dealt with automatic generation of re-written versions of a particular article and then submitting them to numerous low-quality article directories. This strategy actually worked too well before the announcement of the Panda update. But after this update, came into effect, article spinning was simply Dead! Exact Match Anchor Text: Once again, it is now impossible to find out a single website that advocates building some exact match anchor text and this too did really well before the announcement of the Penguin update. Google penalized too many websites after which the website owners had to go for manual link removal due to the exact anchor-text match. What strategies that can still work but isn’t worth for the brands? While the above mentioned strategies are completely dead, there are some that can still work but may not be worthy enough for the brands. Here are some of them. Buying links: It is a widely acknowledging fact that buying and selling of links can still inflate your rankings but this is also a fact that it isn’t worth for the brands to take such risk. Google algorithms, whether Panda, Penguin or Hummingbird, are smart enough to be able to identify link buying in each and every circumstance. The actual reason behind this not being worth of the brands is that it will be a costly way of buying links and attracting them naturally. Site hacking: Sites can be hacked and pumped up with hacked links, to make it appear in the search engine results. However, this is not a way that should be adopted by the webmasters in order to come in the results. Hence, if you’re a webmaster who is new into the SEO industry, you should take into account each and every Google algorithm update to know which disregards which marketing strategy.